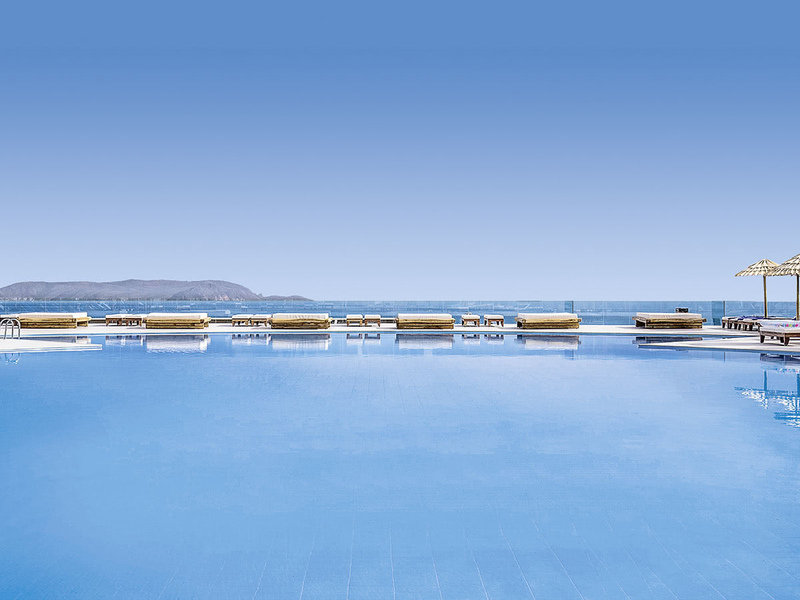 The hotel is located on a beautiful sandy beach at Kokkini Hani on the island of Crete. 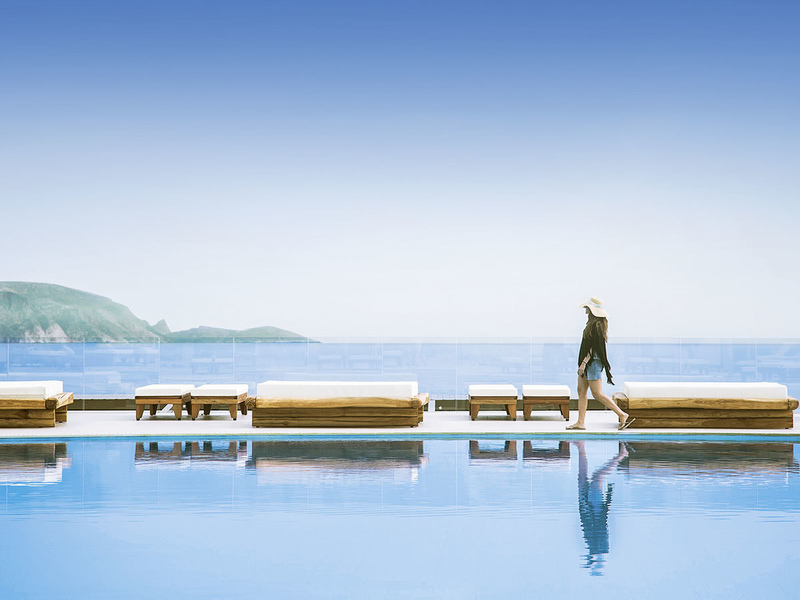 This resort is located only 15 km away from the city of Heraklion and its airport. The bus station is located in the immediate vicinity. This beach hotel features Aegean architecture and offers air conditioning, a 24-hour reception with lobby, TV corner, beauty salon, shopping arcade with mini market, souvenir shop and jewellery, dining facilities, conference room (for up to 150 persons), laundry and dry cleaning services (subject to fees), parking facilities, as well as a car/motorbike rental service. A kids' club and a playground are also available. 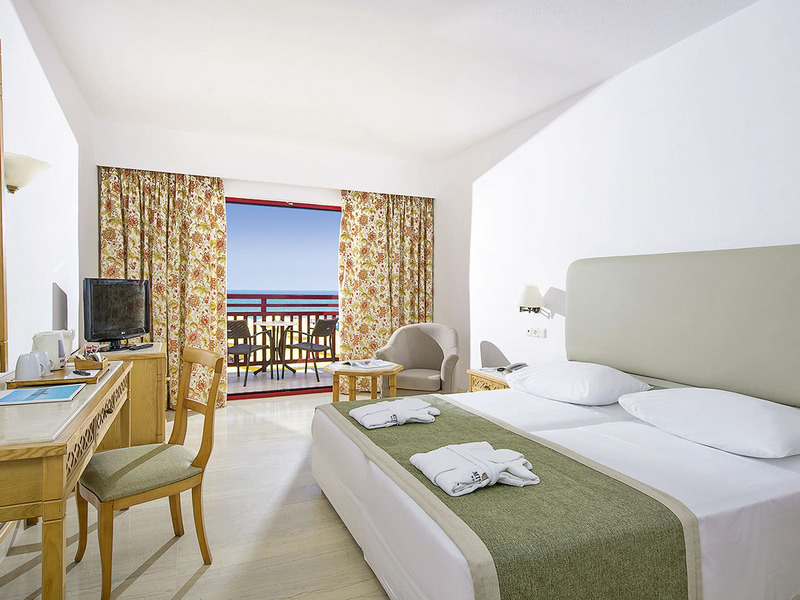 The hotel offers 420 rooms in the main building and bungalows, as well as 45 VIP rooms. Every room in the main building, as well as the bungalows, is equipped with: individually adjustable air conditioning and heating, a bathroom with bathtub and hairdryer, satellite/cable TV, direct dial telephone, mini-fridge, radio, balcony or terrace with a fantastic view, as well as a safe deposit box (subject to fees). 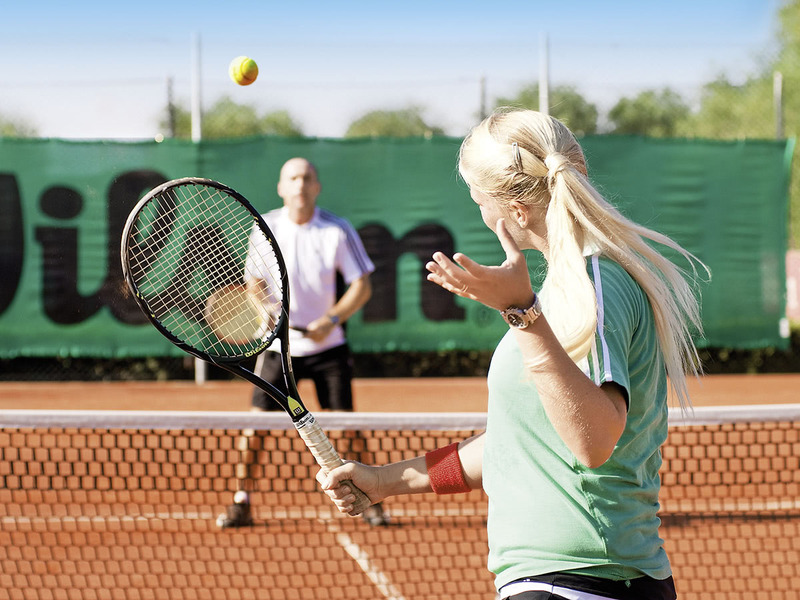 The hotel offers an outdoor swimming pool with sun terrace and sun loungers, as well as 2 floodlit tennis courts (lessons are available). There is also a water sports centre offering water skiing, jet-skiing, banana boats, pedalos, wind surfing, catamaran sailing, canoes, etc. (all subject to fees). Beach volleyball, table tennis, a bridge room, snooker and electronic games are also offered. 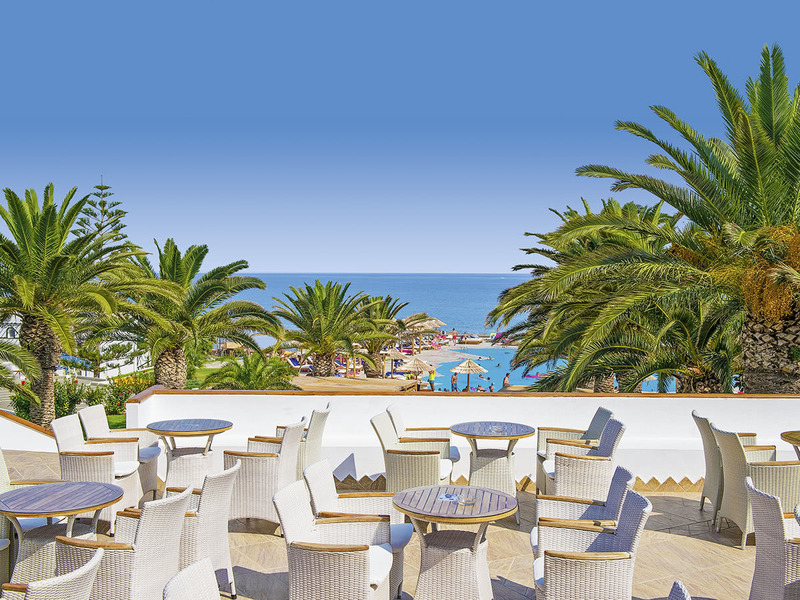 There is a daily and nightly entertainment programme, as well as Greek themed nights with live music. The main restaurant specialises in Greek and international cuisine and has an open air terrace. The tavern offers Greek and Italian specialities as well as show cooking in front of the guests. The hotel also offers a pool bar, coffee shop /ice-cream parlour, main bar with fireplace, piano bar with a veranda offering sea views, and a nightclub. The following are all accepted as forms of payment: American Express, MasterCard and VISA.